Double Layer Neckgaiters block wind and repel water better than single layer neckgaiters. Meant for the coldest of days these gaiters will stop the chill dead in its tracks. Great for winter riding. Keeps you extremely warm, and item is very well made. Great price as well. The Best Neck Gaiter I have used! These gaiter keeps jackets and helmet straps from irritating my neck. this gaiter is all i use during the winter months here in buffalo NY, while quading or tailgating for football or hitting the slopes! the fleece is comfortable and very warm, and it NEVER itches!! if u want to stay warm and ride longer in the winter months get this.I'm up in the Catskills and i use this product all the time on and off the quad. The title says it all. 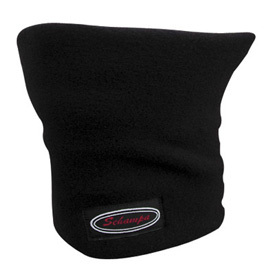 The neck Gaiter kept my face warm when riding in some pretty cold weather here in SD. I definitely recommend this for riders in cold climates.